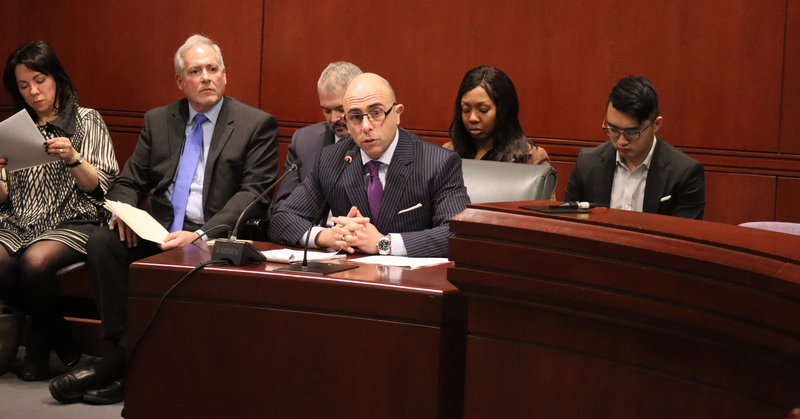 HARTFORD – State Representative Jason Perillo testified on behalf of the House Republican Caucus on Tuesday in support of a caucus proposal to reduce the abuse of state benefits. The bill, House Bill 7335, would end the out-of-state use of an electronic benefit transfer card for more than 30 days until the individual can prove that they still live in the state of Connecticut. Rep. Perillo expressed to the Human Services Committee that a similar concept has been implemented in Massachusetts with bipartisan support. Rep. Perillo emphasized that the bill does not eliminate benefits for those who may be legitimately out of state for longer than 30 days and still reside in Connecticut. For more information about the bill visit www.cga.ct.gov or to watch Rep. Perillo’s testimony visit ct-n.com.